The solution to linear equations is the value of the two variables that makes both of the equations true. 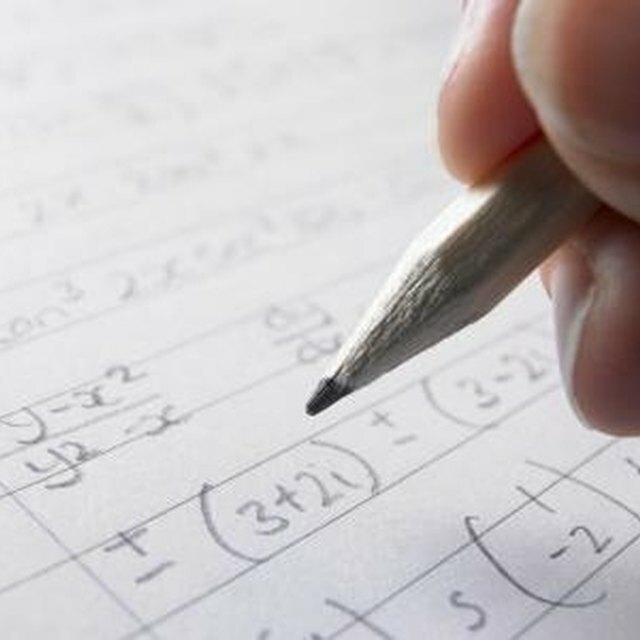 There are many techniques for solving linear equations, such as graphing, substitution, elimination and augmented matrices. Elimination is a method for solving linear equations by cancelling out one of the variables. After cancelling the variable, solve the equation by isolating the remaining variable, then substitute its value into the other equation to solve for the other variable. Rewrite the linear equations in standard form Ax + By = 0 by combining like terms and adding or subtracting terms from both sides of the equation. For example, rewrite the equations y = x - 5 and x + 3 = 2y + 6 as -x + y = -5 and x - 2y = 3. Write one of the equations directly underneath one another so the x and y variables, equals signs and constants line up. In the above example, line up the equation x - 2y = 3 underneath the equation -x + y = -5 so the -x is underneath the x, the -2y is underneath the y and the 3 is underneath the -5. Multiply one or both of the equations by a number that will make the coefficient of x the same in the two equations. In the above example, the coefficients of x in the two equations are 1 and -1, so multiply the second equation by -1 to get the equation -x + 2y = -3, making both of the coefficients of x -1. Subtract the second equation from the first equation by subtracting the x term, y term and constant in the second equation from the x term, y term and constant in the first equation, respectively. This will cancel the variable whose coefficient you made equal. In the above example, subtract -x from -x to get 0, subtract 2y from y to get -y and subtract -3 from -5 to get -2. The resulting equation is -y = -2. Solve the resulting equation for the single variable. In the above example, multiply both sides of the equation by -1 to solve for the variable -- y = 2. Plug the value of the variable you solved in the previous step into one of the two linear equations. In the above example, plug the value y = 2 into the equation -x + y = -5 to get the equation -x + 2 = -5. Solve for the value of the remaining variable. In the example, isolate x by subtracting 2 from both sides and then multiplying by -1 to get x = 7. The solution to the system is x = 7, y = 2. Wallulis, Karl. 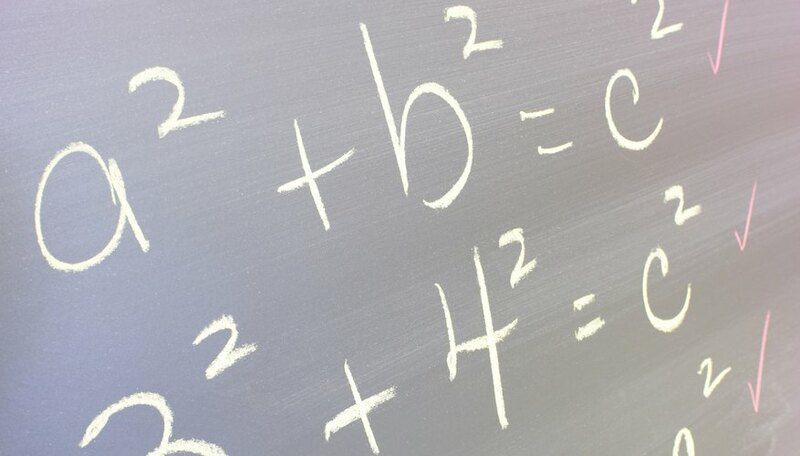 "How to Use Elimination to Solve the Linear Equation." Sciencing, https://sciencing.com/use-elimination-solve-linear-equation-8730240.html. 13 November 2018.